Arroo is a townland in Rossinver parish, barony of Rosclogher. Arroo Mountain is the 495th highest place in Ireland. Arroo Mountain is the most northerly summit in the Dartry Mountains area. 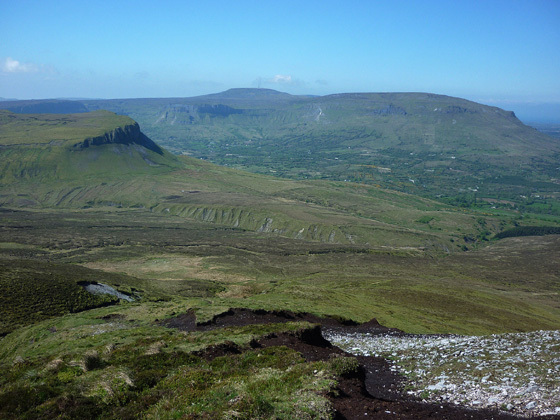 Picture from Harry Goodman : View west from Arroo Mt to Keeloges Mt. (left) with Truskmore and Tievebaun beyond . Picture: View west from Arroo Mt to Keeloges Mt. (left) with Truskmore and Tievebaun beyond .